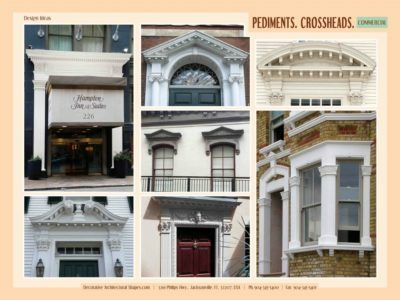 A pediment is an architectural feature which consists of a triangular ornament placed on top of a structure or feature such as a gable. 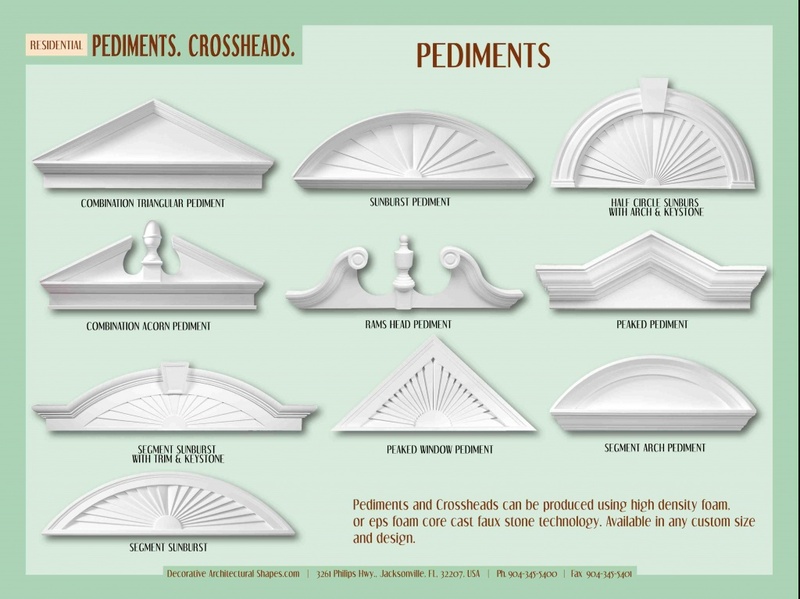 The face of the pediment, known as the tympanum, is often heavily decorated, while the pediment itself is enclosed along with the sides with raking cornices, and along the bottom with a horizontal cornice. 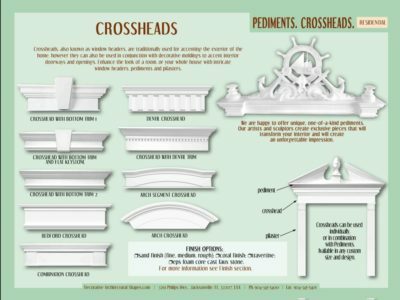 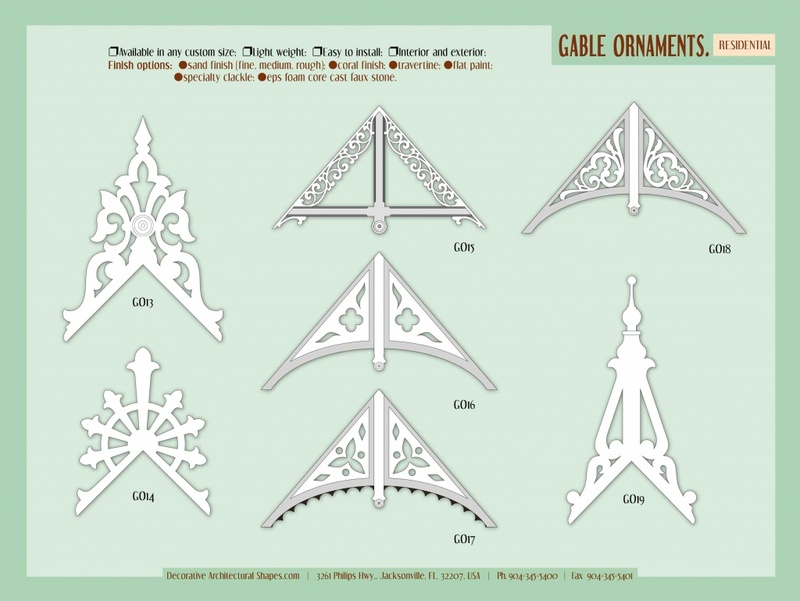 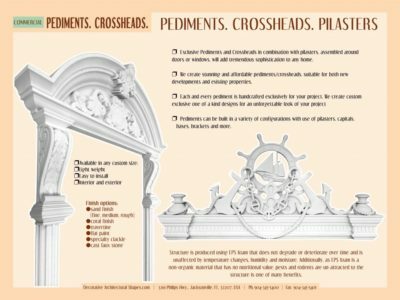 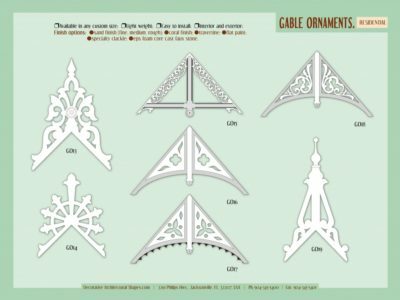 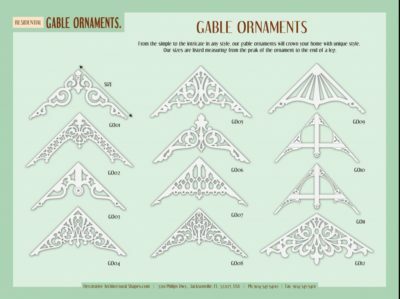 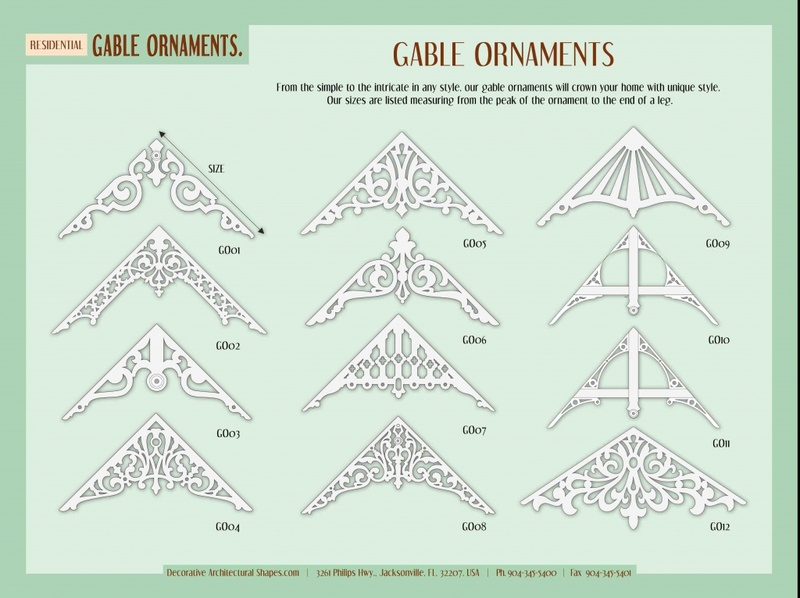 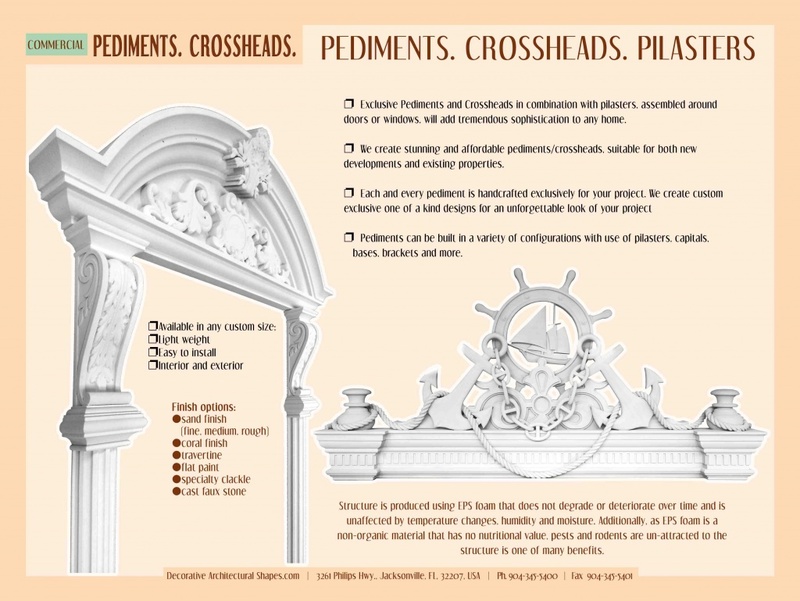 There are a number of variations on the pediment, and this decorative piece of architecture shows up in a number of different architectural styles; almost any style which features ornamentation of the outside of a structure includes pediments. 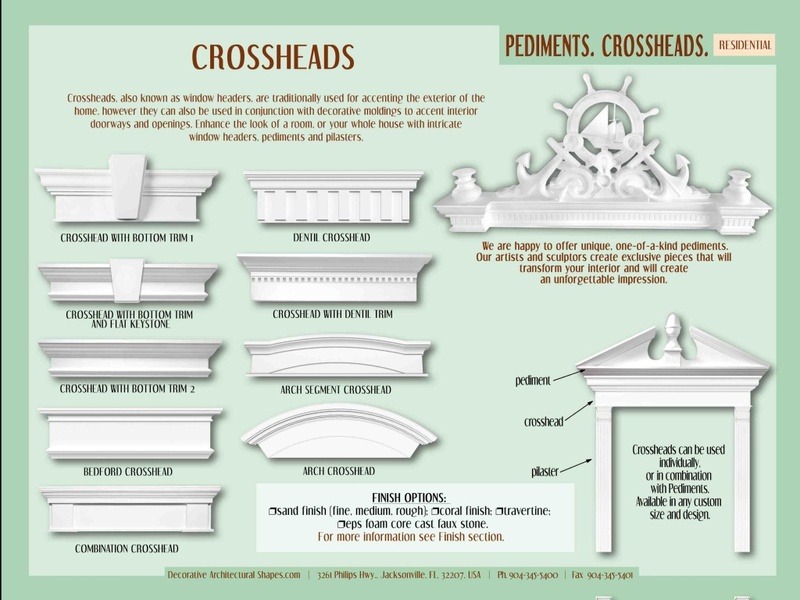 In Greek architecture, the pediment usually contained sculpture when used with the Doric order. 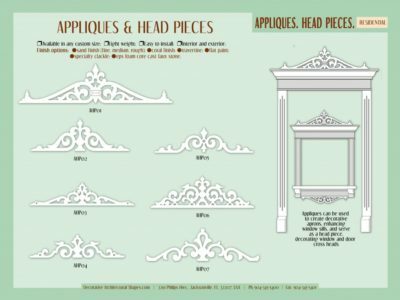 In the Roman and Renaissance styles, it was used also as a purely decorative motif, chiefly over doors and windows; the upper profile of the pediment was sometimes of segmental shape. In later Renaissance and baroque design, the pediment often took on fantastic shapes, notably in the variants of the broken pediment, in which the two sides of the raking cornice do not join. The scrolled broken pediment was a favorite in American Colonial work, especially in doorways and overmantels.